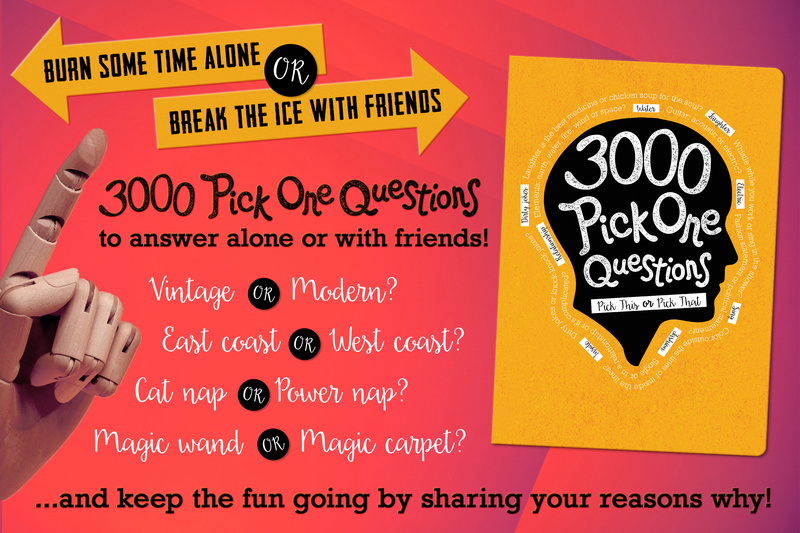 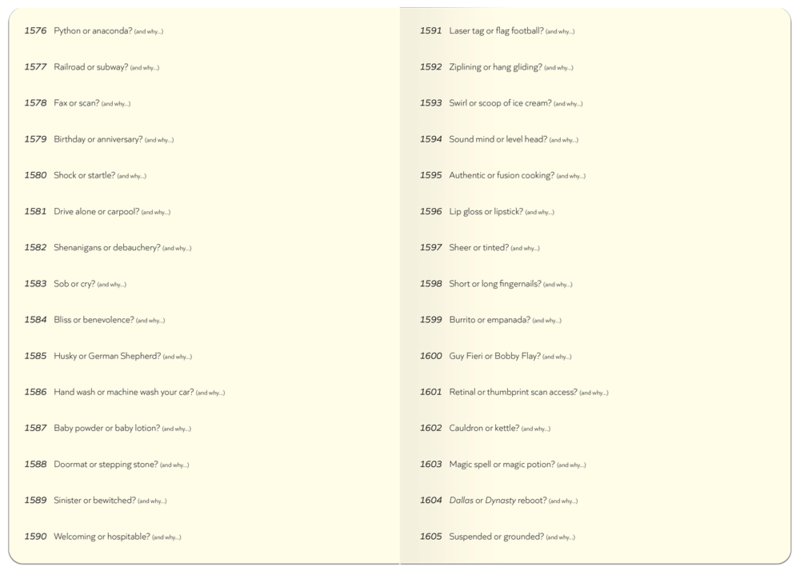 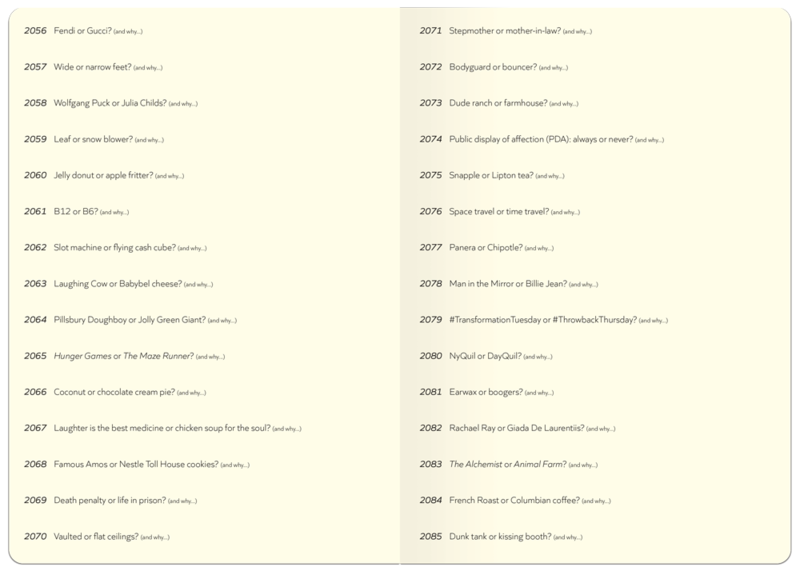 3000 Pick One Questions–answer alone or with friends! 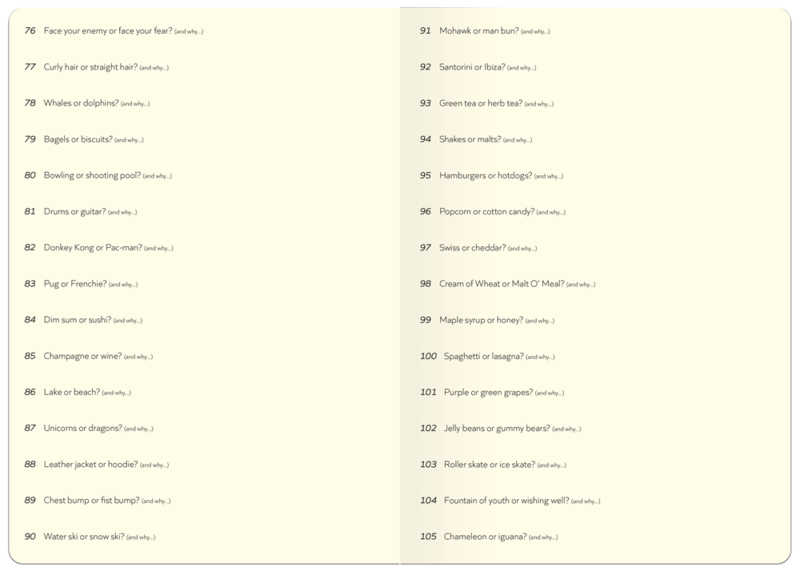 HomeGuided Journal 3000 Pick One Questions–answer alone or with friends! 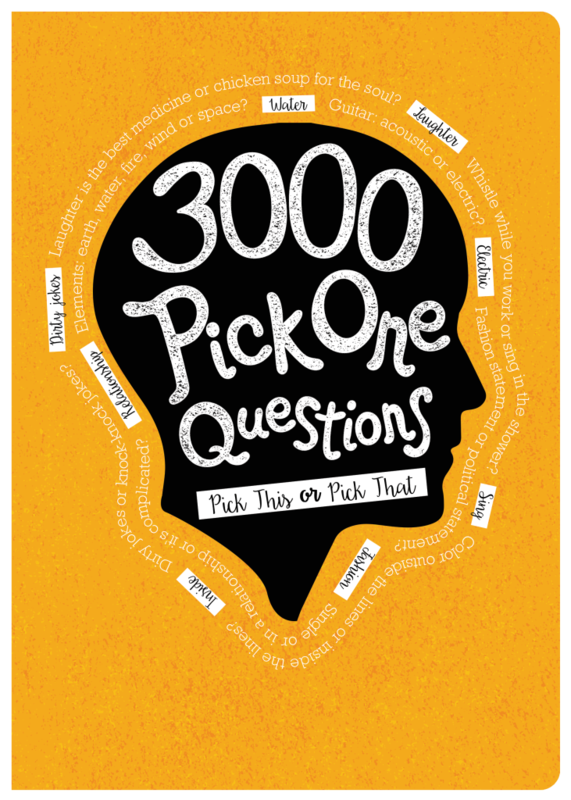 3000 Pick One Questions is a fun and easy way to get to know yourself and others! 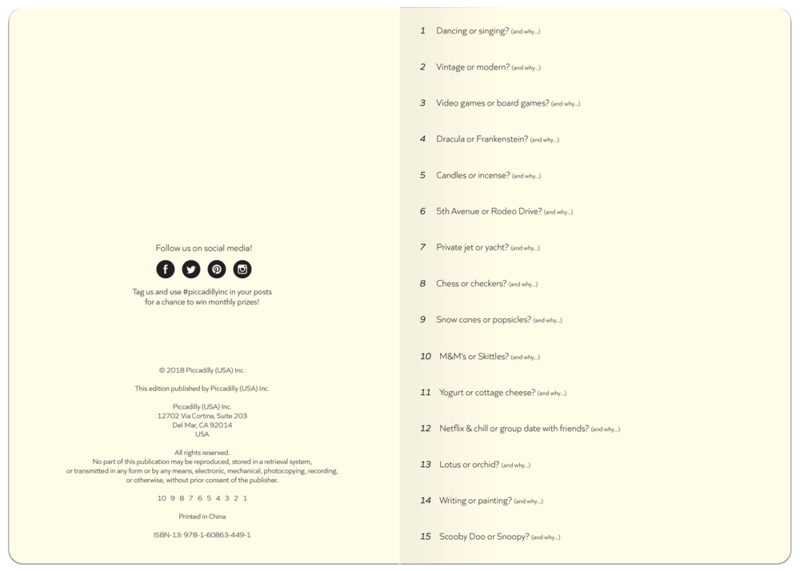 Burn some time alone or break the ice with friends with questions ranging from funny to outrageous to serious to mundane–and keep the fun going by sharing the reasons why!